Size: Fully Adjustable, one size fits all. This Copper Unisex Bracelet will bring the healing energy of copper while invoking the mercy and guidance of Sri Shirdi Sai baba . Copper is believed to help with arthritis and joint pain. Size : Fully Adjustable, one size fits all. 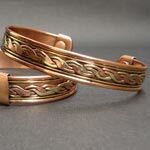 Wearing a copper bracelet is beneficial to people suffering inflammatory afflictions such as arthritis and rheumatism. Copper deficiencies are common in arthritic patients, many not reaching their daily recommended intake of 1.5 to 3 mgs. Dietary copper is not as readily absorbed as copper gaining access to the bloodstream through the wearing of a copper bracelet. 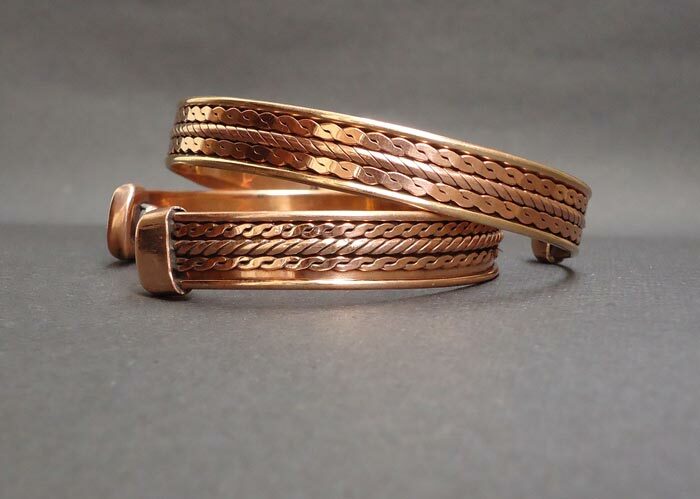 Wearing copper bracelets has many positive effects on the health of an individual. 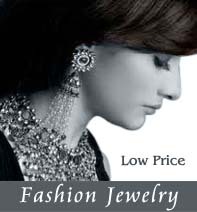 Copper bracelet benefits, on the overall body system, can be availed with the regular use of these wristbands. Copper is one of the metals in the Earths crust and has a number of applications. Copper was also used as a medicinal therapy in parts of the world, for many centuries. The body needs approximately 1.5 to 3 mg, as recommended by physicians. However, this requirement is not fulfilled by dietary intake of copper and the person ended suffering from copper deficiency. 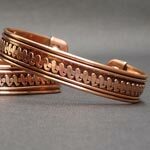 Since copper does not get assimilated into the body as easily, copper bracelets came into existence. 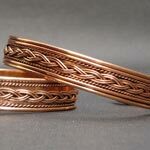 Apart from bracelets, copper can be donned in the form of rings and chains. In this manner, copper would be readily absorbed into the bloodstream and address the problem. 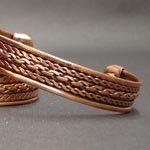 The first time copper bracelets were used was in ancient Egypt from many centuries. From there, this practice has been followed in other parts of the globe and even doctors advice people to use this method of healing. Wearing a copper bracelet is known to provide relief from maladies. 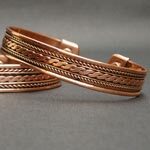 Copper bracelets can be purchased from holistic healing centers and health food stores. Read further for more information regarding the beneficial uses of copper bracelets and their effect on the body. Copper bracelet therapy has proved to be beneficial in treating a number of ailments. Using copper bracelet for pain caused due to arthritis and other inflammatory diseases, is an excellent remedial measure. This conventional method of treatment has been adopted across various cultures and has a placebo effect. 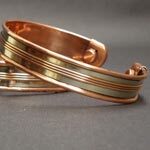 Here are some of the benefits of wearing a copper bracelet. * One of the advantages of wearing a copper wristband is that the mineral is easily absorbed in the body. This helps fight copper deficiency, which affects the body in many ways. As the body perspires, sweat is produced and the microminerals like iron and zinc in the copper band combine with it. The body may reabsorb the sweat and in this manner, these minerals enter the bloodstream and yield positive results. 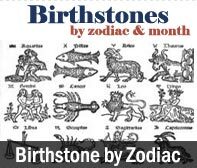 A constant low dosage of these minerals strengthen the tissues and joints. * It has been proven that a deficiency of copper in the body can weaken the muscles and joints. As the person ages, the copper content in the body begins to drop resulting in the individual suffering from arthritis and other joint problems. 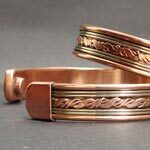 Using copper bracelets for arthritis are effective in reducing the inflammation and pain in the joints. Hence physicians recommend copper bracelets to arthritis patients for significant relief from this joint disorder, without unwanted any side effects. * You can reduce the stiffness of joints by wearing copper wristbands. The copper absorbed into the body through the process of transdermal micronutrition helps reduce the stiffness in the joints, as seen in osteoarthritis and rheumatoid arthritis. The joints also become flexible thereby attributing free, effortless movement sans pain. * Once the copper enters the bloodstream it begins its action and also balances the amount of zinc in the blood. The molecules of copper attach themselves to the enzymes and trigger the production of hemoglobin. This aids in the repair of the tissues and also heals any internal damage in the body system. An increased hemoglobin also helps strengthen the immune system and prevents the occurrence of a number of infections and diseases. * Wearing a copper bracelet also has a number of positive effects on the cardiovascular system. Copper is known to control erratic blood pressure, which may cause damage to the arteries, and also give rise to aneurysms. All these factors can damage the heart which can prove life-threatening. Teamed with proper diet and exercise, copper bracelets help prevent cardiovascular diseases like atherosclerosis, strokes or heart attacks. Copper Bracelets & Health - Amazing Health Benefits Revealed! The use of copper bracelets centers on reducing the joint pain and stiffness associated with rheumatoid arthritis and osteoarthritis. For believers, this translates into more freedom of movement and joint flexibility. Although worn on the wrist, manufacturers report the bracelets are beneficial to stiff joints throughout the entire body. 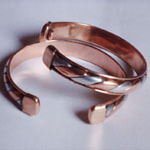 In addition to easing joint stiffness, adherents wear copper bracelets to reduce the pain associated with arthritis. While theories as to why copper bracelets are beneficial vary, the "Gale Encyclopedia of Alternative Medicine" mentions that some advocates claim the copper emits anti-inflammatory and antioxidant properties. Although no scientific evidence backs this up, some bracelet wearers report feeling better after using the copper bracelets.